Newfoundland & Labrador: The Employee Leaves of Absence posting has been updated with new and increased types of employment leave. Additional information on job protection and notice requirements has been added. Nova Scotia: The Employee Leaves of Absence posting has been updated with new and expanded types of employment leave. Additional information on job protection has been added. 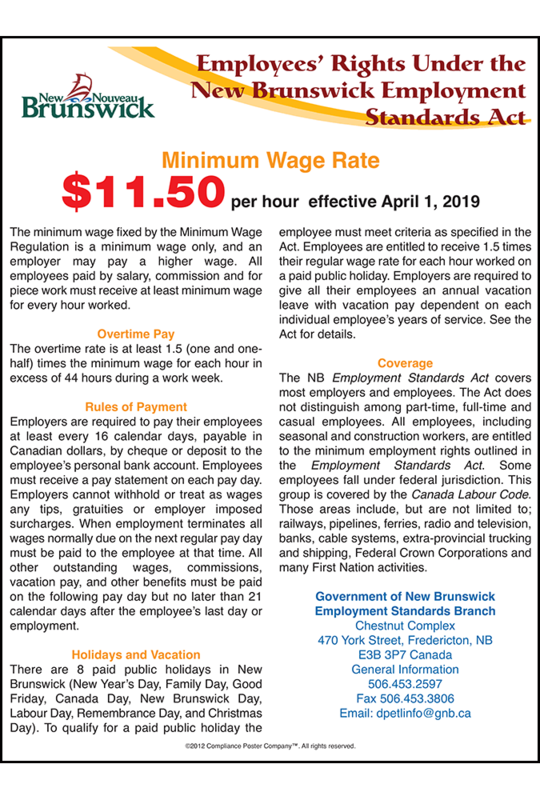 Prince Edward Island: The Types of Employment Leave posting has been updated with increased types of employment leave. Companion posters have been updated with new information on the employer requirements for a workplace violence policy and sexual harassment policy. Posting informational notices in the workplace ensures that workers and supervisors are informed of their rights and responsibilities under the law. 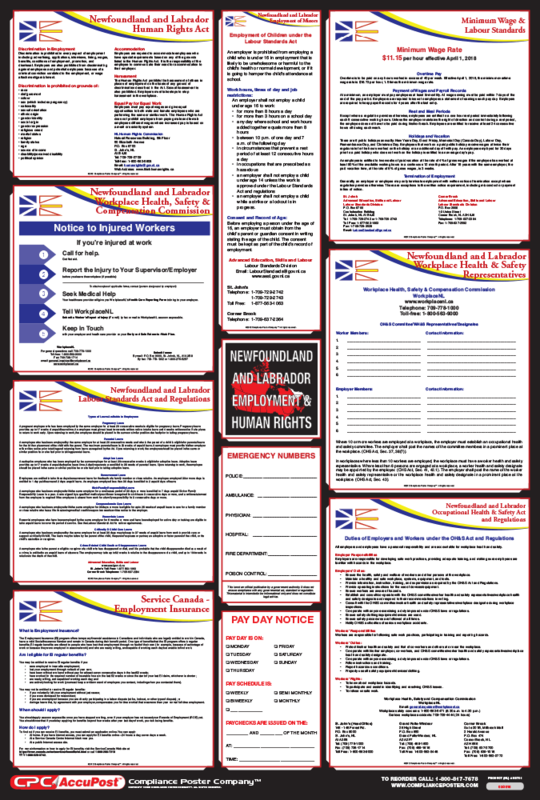 CPC’s exclusive line of Canadian All-On-One™ Labour Law Posters provides informational notices on provincial employment standards, occupational health and safety rules, workers’ compensation, and unemployment. Every order comes with a free sectioned companion poster to aid employers in fulfilling mandatory posting requirements.